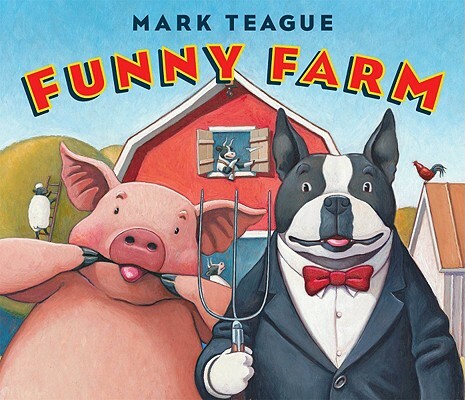 Award-winning author/illustrator Mark Teague creates a farm with a sense of humor. Readers will laugh out loud when Cousin Edward arrives from the city to help out on the farm. The cows, pigs, and sheep have been waiting for Cousin Edward to visit Hawthorne Farm. The fun is never ending as Edward tries his best to milk the cows, tend the sheep, feed the pigs, plant the garden, and much more. It is truly a day that Edward will never forget.